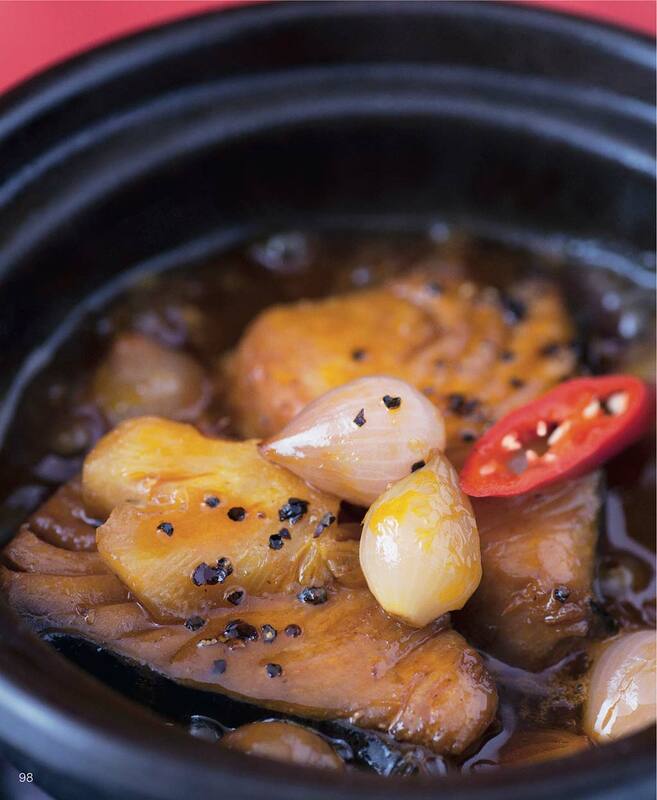 Fish caramelised in claypot is a popular way to cook from the south of Vietnam to the Center. Not only does the caramel sauce complement the fish, it also preserves it, meaning you can keep it for a little longer than other dishes. I love this with rice and my mother's recipe is still my favorite. The black pepper is a must! Place all ingredients in a wide shallow cooking pan. Stir gently with chopsticks to incorporate the ingredients. Bring to a rapid boil for 3 minutes. Turn heat down. Simmer gently for 15 minutes on a very low heat covered. Serve with steamed rice and green vegetables.